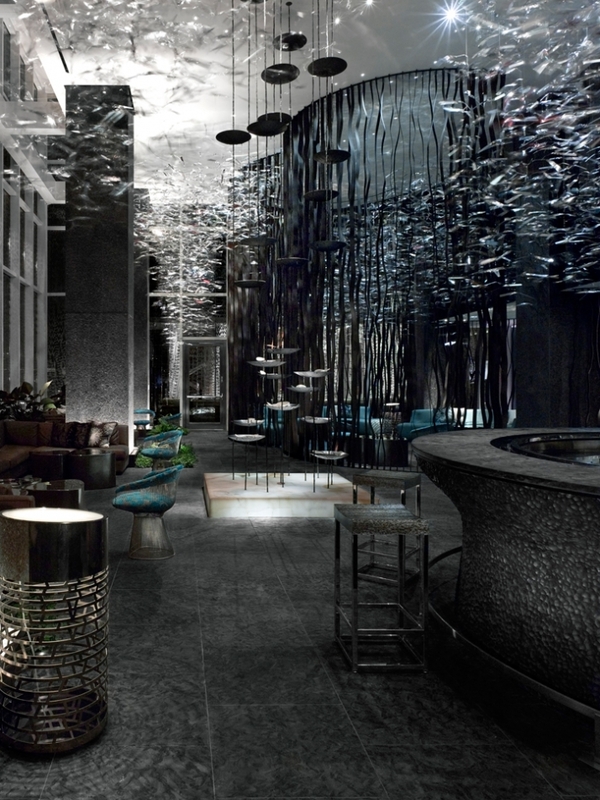 The charm of the Peach State meets the modern and contemporary living which a guest has dreamed of as Canadian design firm Burdifilek creates an urban oasis within Atlanta’s newest W Hotel. 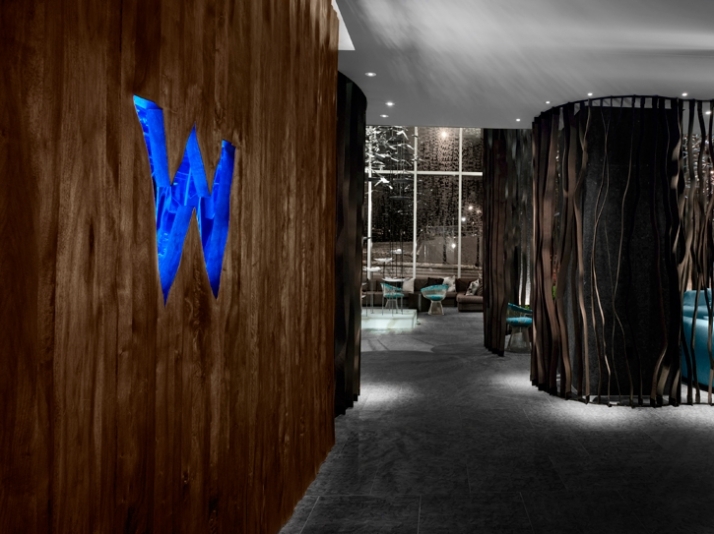 Situated in Atlanta’s exciting downtown, the W is a lush hideaway infused with natural elements and sensual style, where revitalization and rejuvenation beckon amid major corporations, specialty shopping, upscale living and everything cool about Hotlanta. 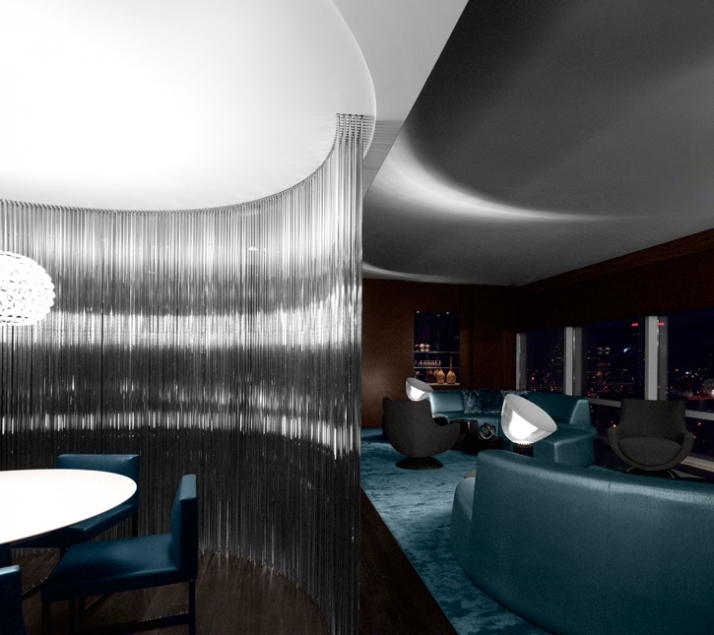 In June 2009 Canadian interior design company Βurdifilek (Diego Burdi & Paul Filek) set new standards in luxury hospitality with the design of this boutique hotel. W Hotels aim at providing the ultimate in insider access to a world of WOW with an inspiring, iconic, innovative and influential environment. 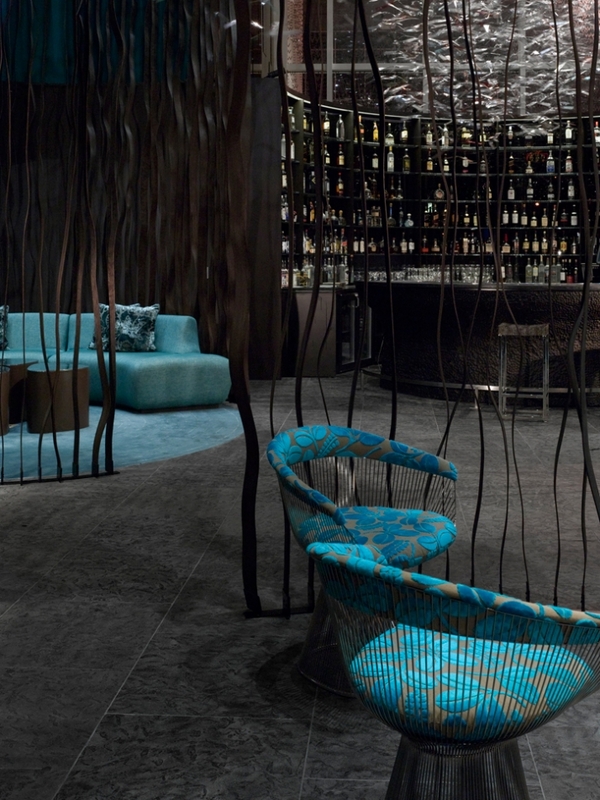 Burdifilek worked around the needs and the aims of W Hotels to only create this exquisite design that the world has come to associate with the brand. It reinterpreted W Hotel Downtown with a verdant sanctuary that mimics the lushness of Georgia, while maintaining the brand’s celebrated cosmopolitan edge. Burdifilek merged an abundance of natural elements with the contemporary urban playground of the busy downtown. The luxurious textures and the rich tones support the innovative design of the sculptural objects which were custom-designed by very talented and renowned Canadian artists and craftspeople. 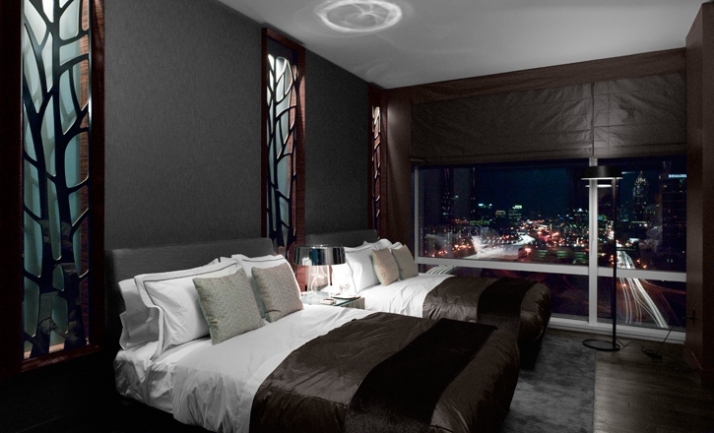 The hotels design reveals itself to the guest as if he is a visitor at an art gallery. While entering the hotel the entrance and the lobby’s background is a luxurious hand-carved solid walnut wall and the bent-wood partitions create a very atmospheric environment in combination with the charcoal stone floor as it leads you into the Living Room which is the ultimate rendezvous spot of the city. A glimmering 35,000-piece mobile with metal leaves floats above the Living Room as it angles off delicate light; the mobile was inspired by the base of a tree canopy and the feeling in the Living Room conveys lush forest scenery. 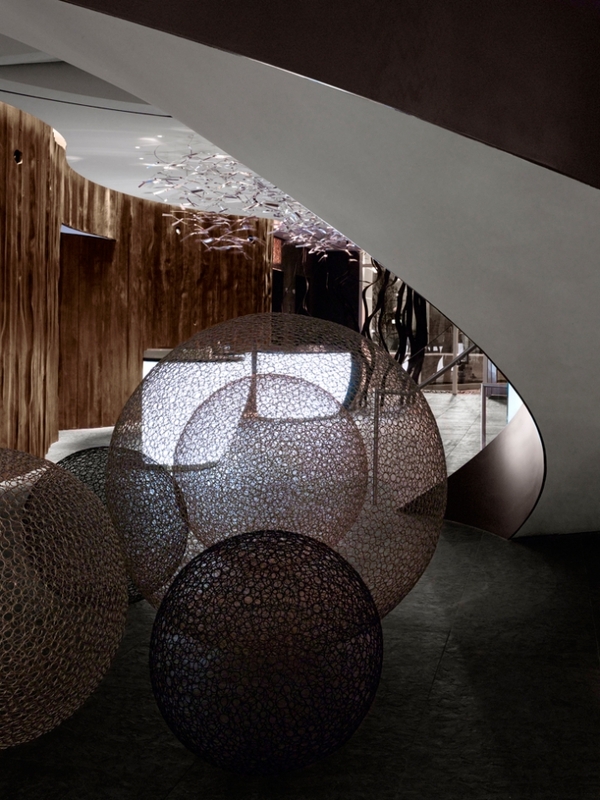 A theatrical atmosphere is created with a custom-designed metal sphere installation beneath a spectacular scooped staircase. 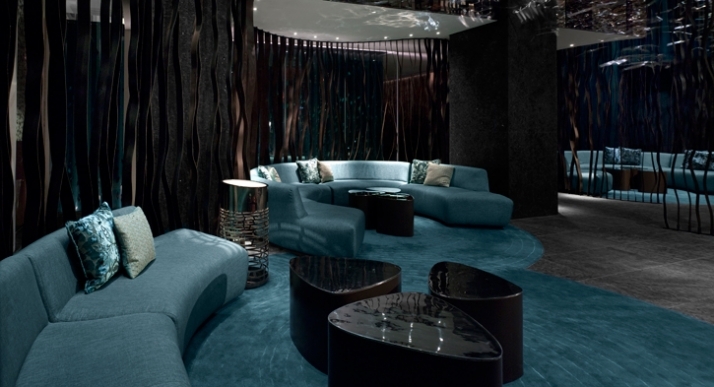 The charcoal and brown colors of the Living Room create a mysterious feeling, while the teal blue textured materials create a juxtaposition of glamour and glitz! Burdifilek has allowed for unconventional materials to drive the essential element of surprise; the bent-wood screens and curved seating amalgamates with planting beds, while polished stainless steel lanterns radiate a soft glow. The furniture is generous and oversized as it would be in your own Living Room allowing for you to relax as you sink into plush sofas and take a break from the everyday. 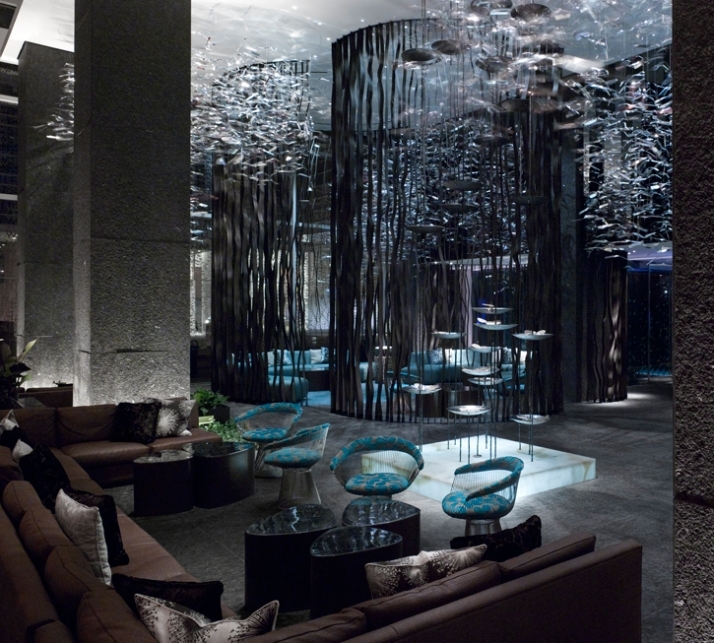 A 22-foot water feature tranquilly trickles through metal lilies into a luminescent onyx reflecting pool. As the action unfolds, in this cozy and intimate setting the garden party continues upstairs in the sultry guest rooms and suites. 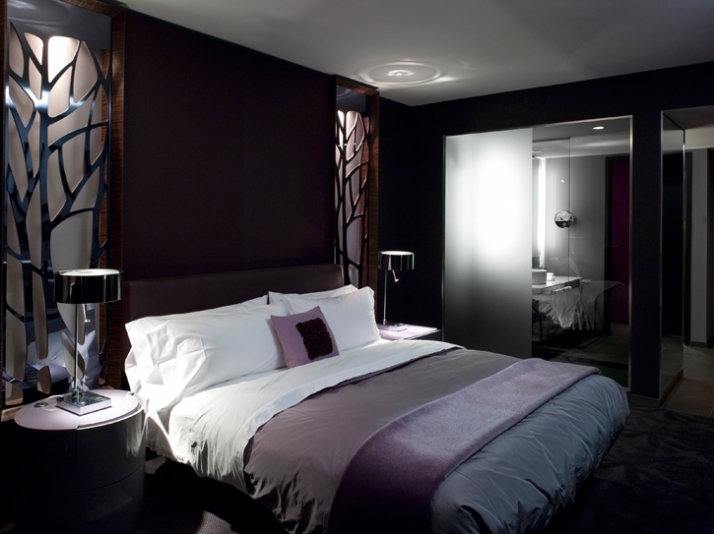 The sensuous and desirable guest rooms and suites are in tones of charcoal, mulberry, and teal or indigo as they seduce the senses, and extend the feeling of discovery initiated on the ground floor. 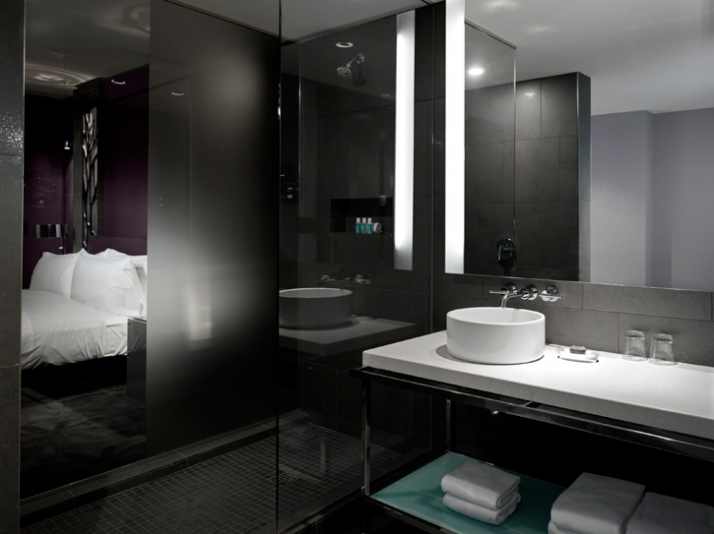 The sensual spa bathroom is ultimate for pampering yourself while the spacious shower which overlooks the entire room. Custom luxurious carpeting, soft linens, and lavish Makassar wood and glossy acrylics introduce the environment with a slick and provocative veneer. 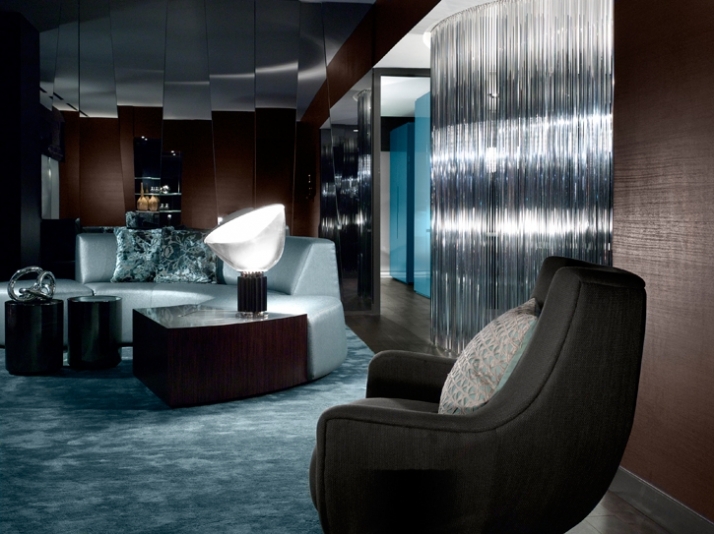 While the Extreme-WOW suite runs over a total area of 1,500 square feet and portrays luxury in every sense. Whether you’re there for business or pleasure, clients of the new W Atlanta-Downtown – from the creative worlds of music, film, fashion, art, design and beyond – will embrace the rare grandeur this haven offers with open arms, and come back for more time and again. W Hotels are a unique mix of innovative design and passions around fashion, music, entertainment, design, architecture, pop culture, and everything in between. 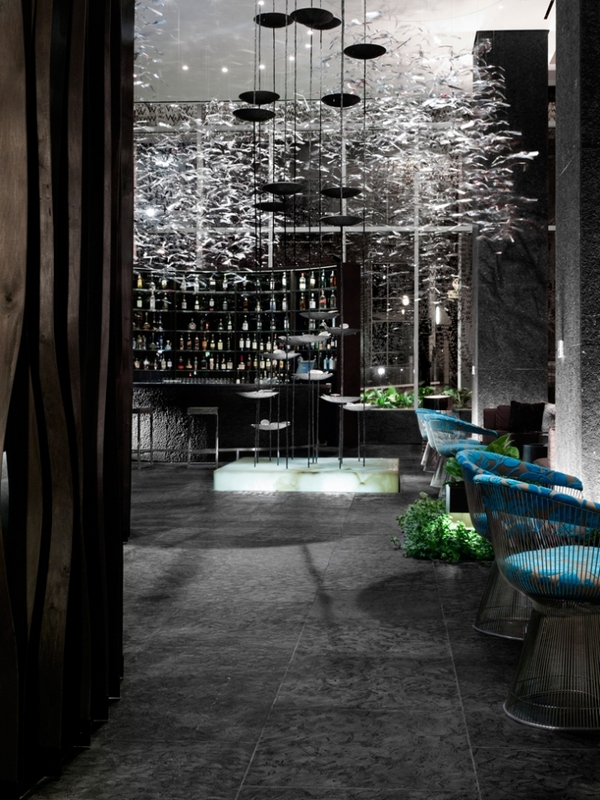 They express the unique and individual way of modern living, reflected in the brand’s sensibility to a holistic lifestyle experience with cutting-edge design, contemporary restaurant concepts, glamorous nightlife experiences, and signature spas. Burdifilek has done an astonishing job in creating the desired environment which is requested by W Hotels as their design portrays elegance and glamour in this city boutique hotel.